Attendees: Pre-Register Online to Attend FREE! On Thursday, April 19, 2018, register for booth space at Oceanside's Largest Annual Business Expo and Ultimate Networking Event by downloading your booth application now. The Oceanside Chamber of Commerce will hold its annual Oceanside Business Expo at the QLN Conference Center. With over 100 exhibitors, the Oceanside Business Expo will feature business sponsors and exhibitors. 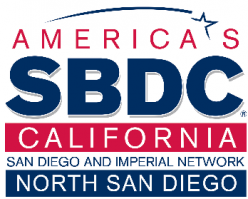 The Oceanside Business Expo provides a great opportunity for local business owners to make new connections from around the region, build business relationships, form strategic partnerships, and grow business by reaching new consumer and business audiences. Interested in reaching new foodies? Restaurants, caterers, food providers, breweries, wineries and all exhibitors interested in sampling, please download a food, beer, wine and beverage booth application now to see if you qualify for one of the limited free booth spaces available to food businesses and beverage companies.